The host of CNN's The Hunt has a new mission. In 1981, six-year-old Adam Walsh was abducted from a Sears department in Hollywood, Fla. A little over two weeks later, the boy’s remains were found over a hundred miles from his home. 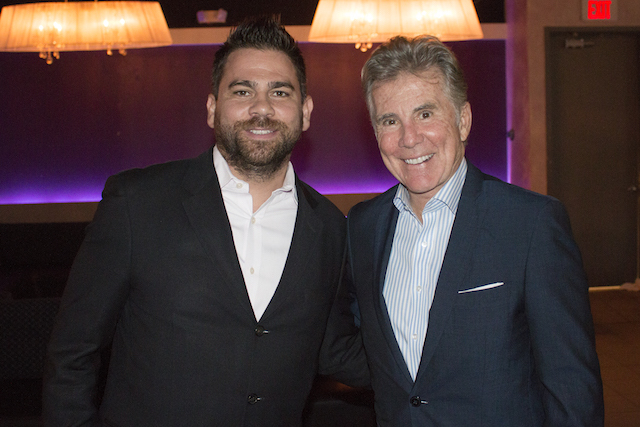 This tragedy launched the boy’s father, John Walsh, onto a course that would result in a national campaign to bring missing children home and to protect society’s most vulnerable members, while turning into into one of the most recognizable men in America. Famous for hosting the iconic America’s Most Wanted series on Fox for 23 years, Walsh has become an advocate for victims of violence across the country and currently hosts CNN’s The Hunt. At a dinner in Washington, D.C. co-hosted by Michael Kosmides, proprietor of CITIES, and Janet Donovan, editor in chief of Hollywood on the Potomac, Walsh discussed his newest venture: being the spokesperson for The Justice Network. Headed by CEO Steve Schiffman (formerly of the Washington Post) and director of programming John Ford (former president of National Geographic channels), the network airs crime and justice related programming targeted towards women 25-54. Initially, Walsh wasn’t sold on the idea of picking up another gig, but then Schiffman made a suggestion: let’s show the picture of victims. And since then, the network has seen incredible results. For his part, Walsh has no intention of slowing down his crusade to bring justice to the injured and the wronged and he has faith that the American people will join him.